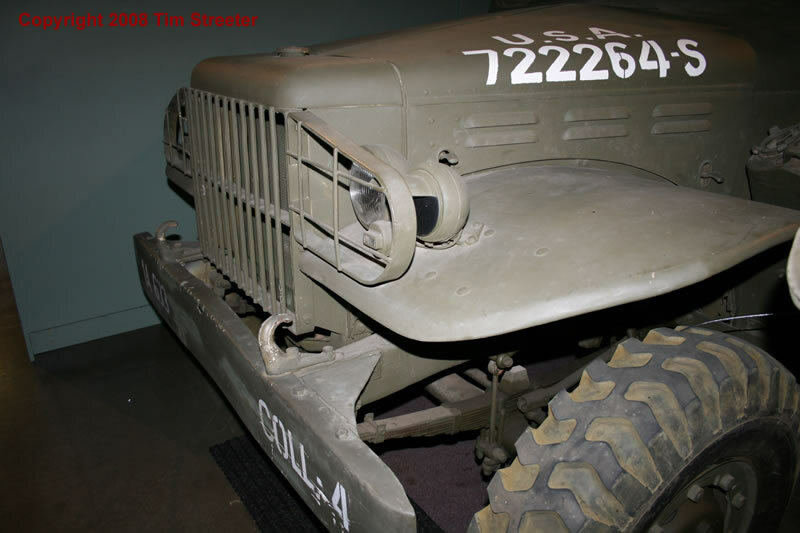 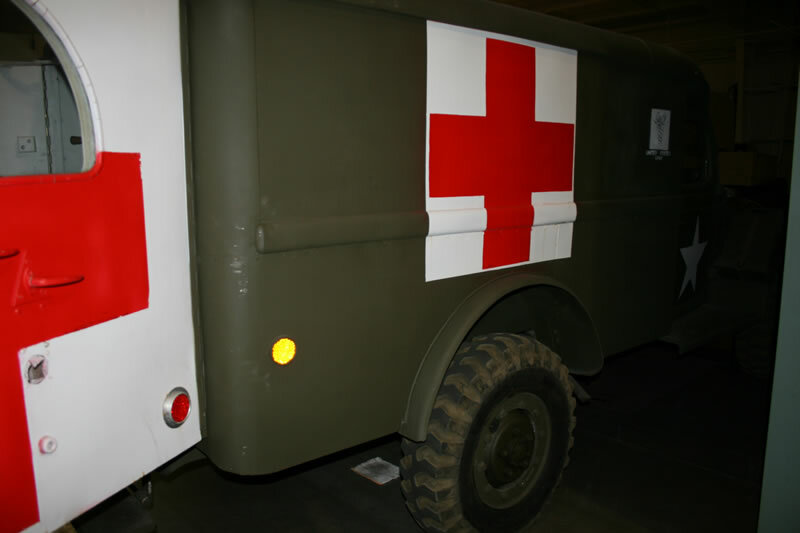 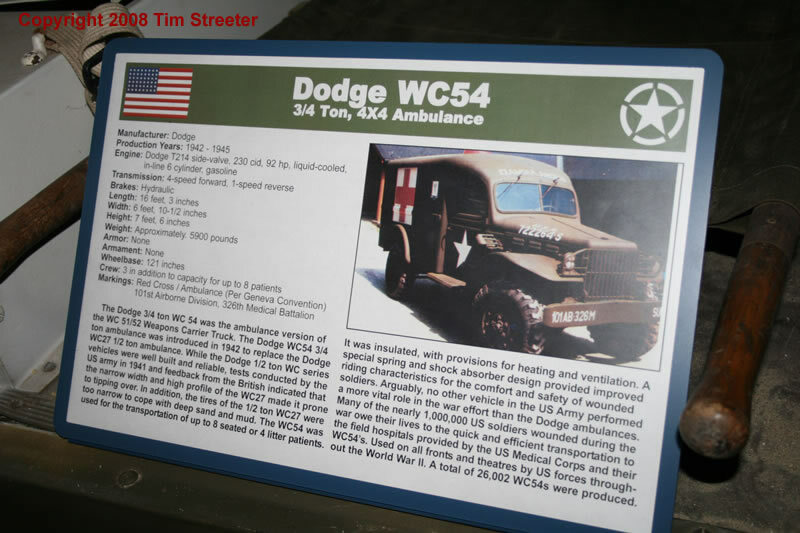 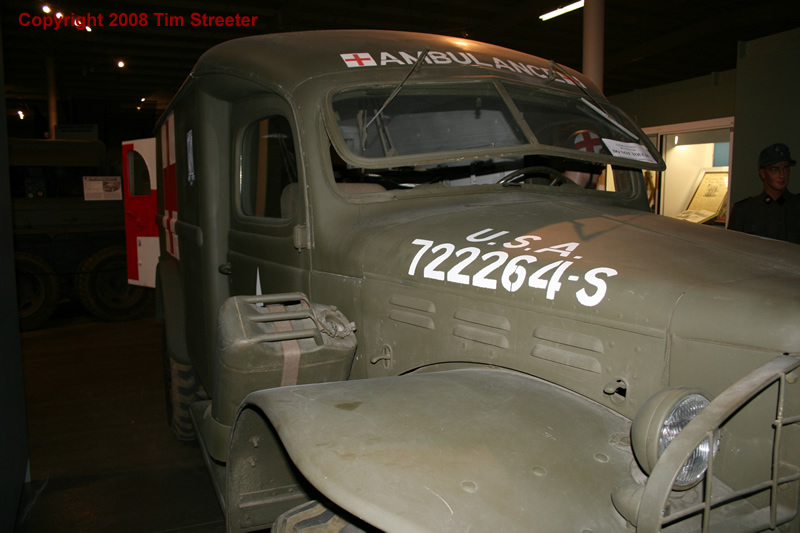 The 3/4 ton, 4x4 ambulance, generally noted as a Dodge manufacture, was the mainstay of evacuation of the wounded to the rear for hospitalization. 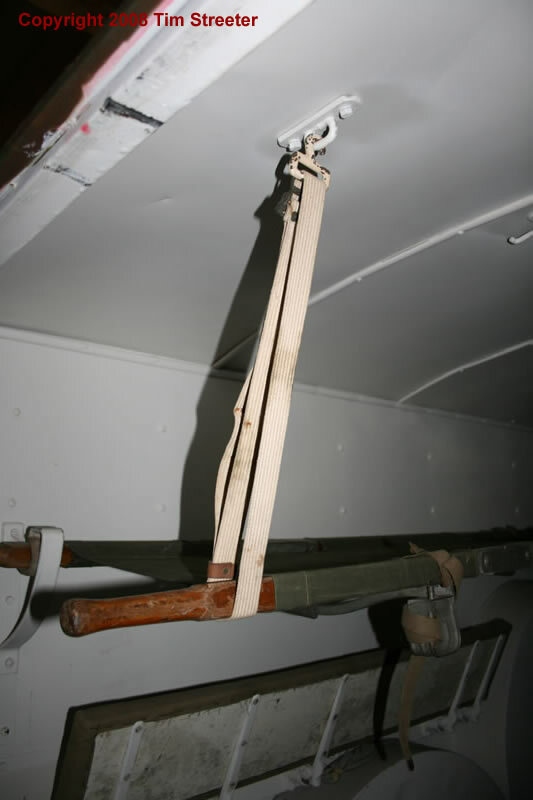 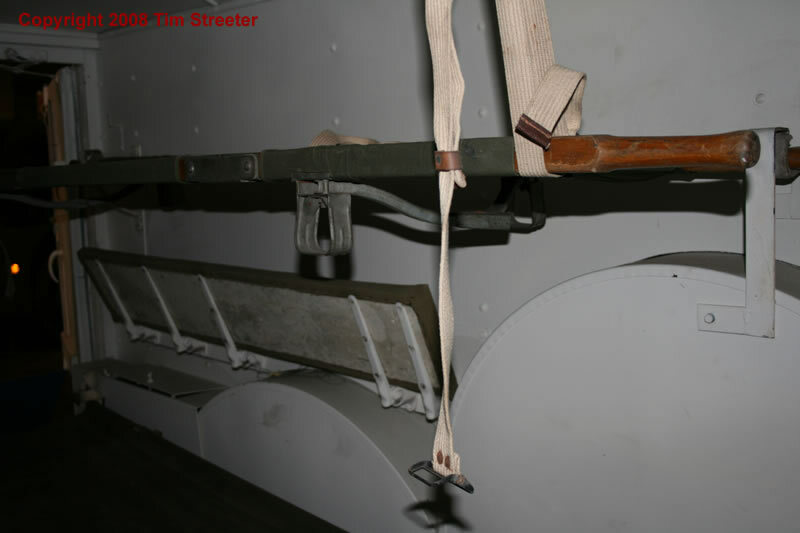 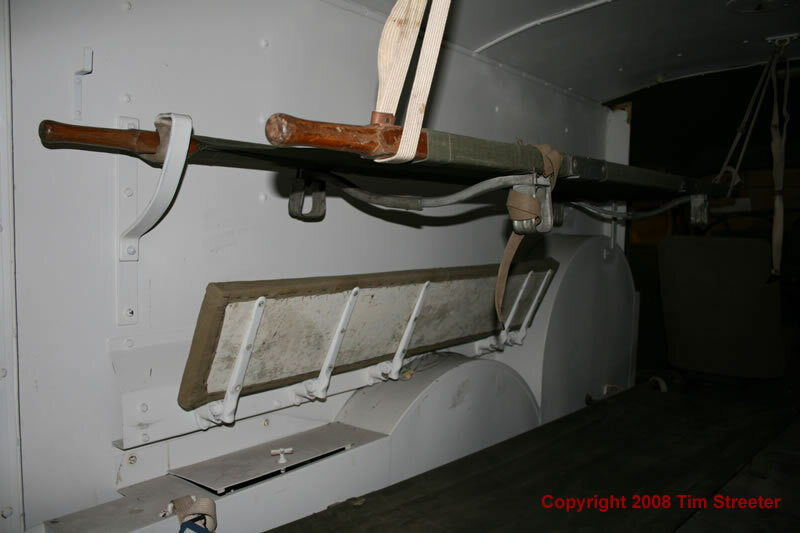 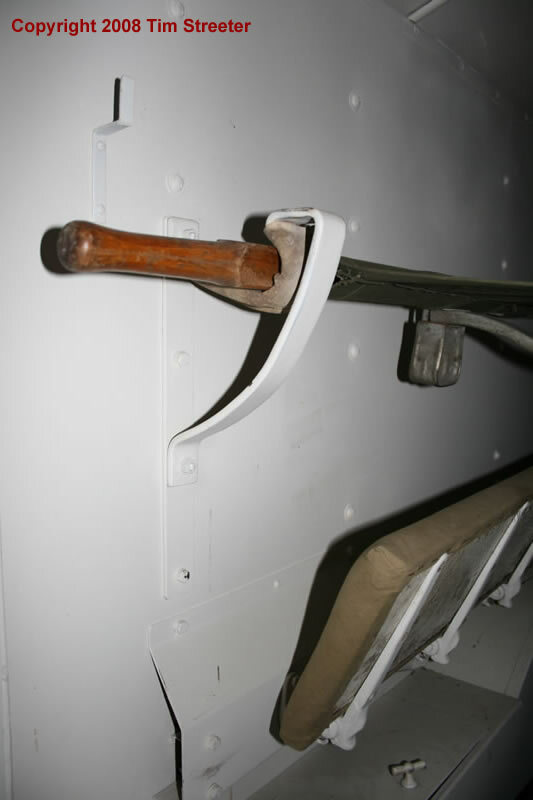 It was equipped with hangers to suspend two litters from the the walls and ceiling, and two padded benches for seated or reclining passengers. 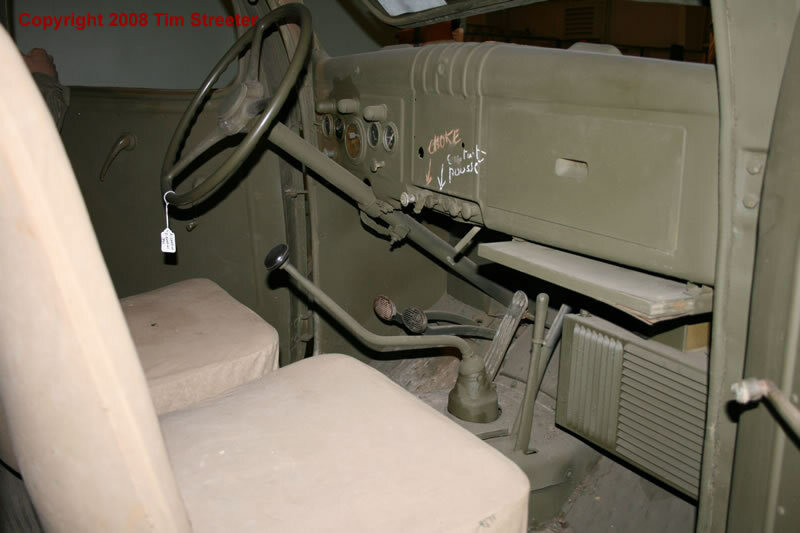 Italeri makes the hard cab version; there was another "knock-down" version that had a wooden body on a steel frame that could be reduced in size for shipment from the U.S. 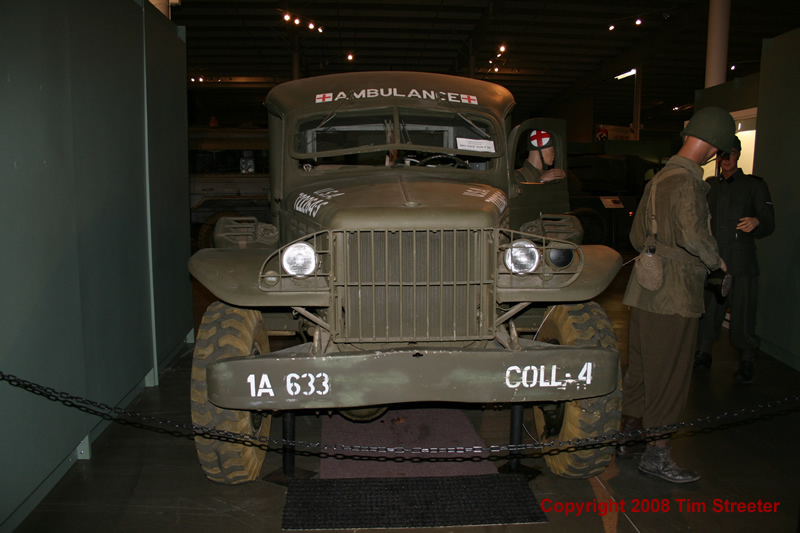 This WC54 is in the collection of the Victory Museum in Auburn, Indiana. 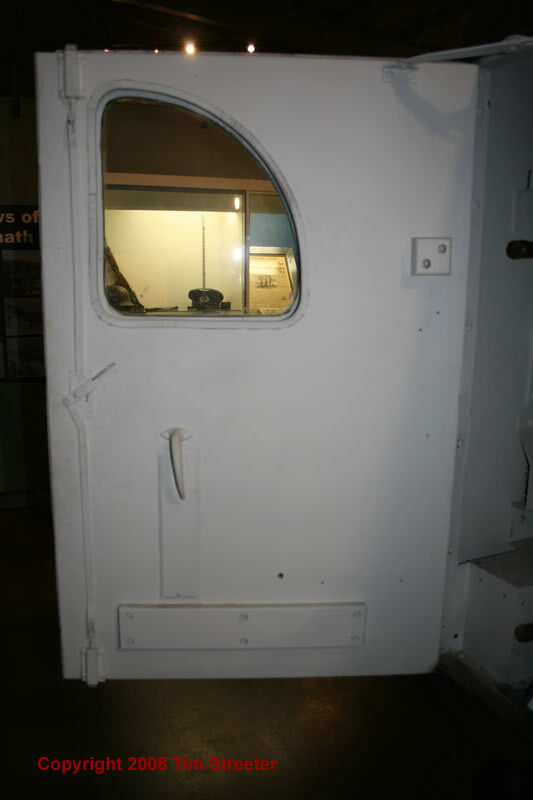 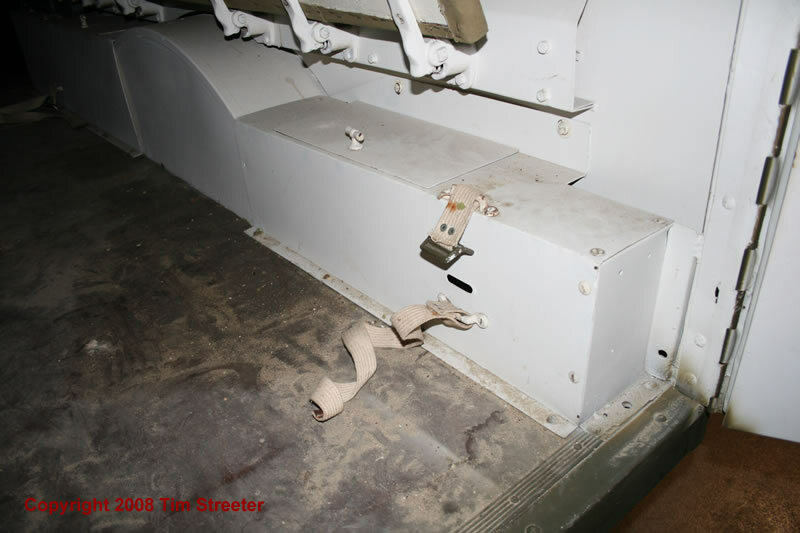 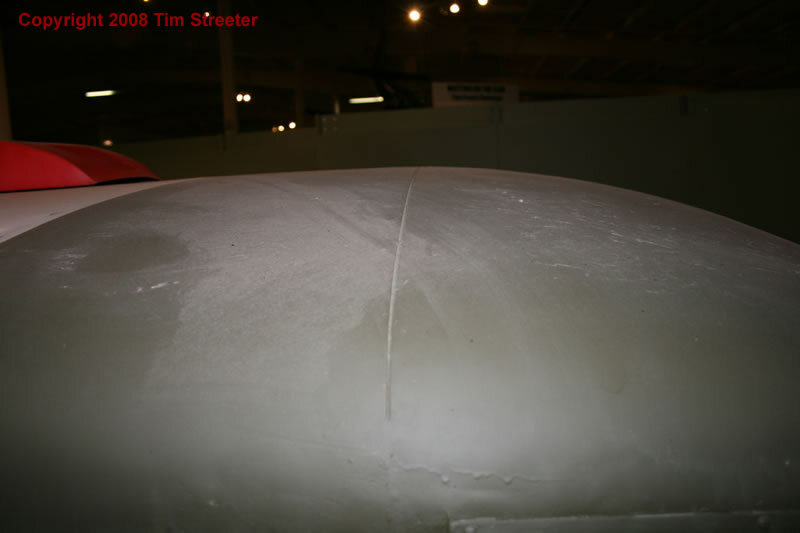 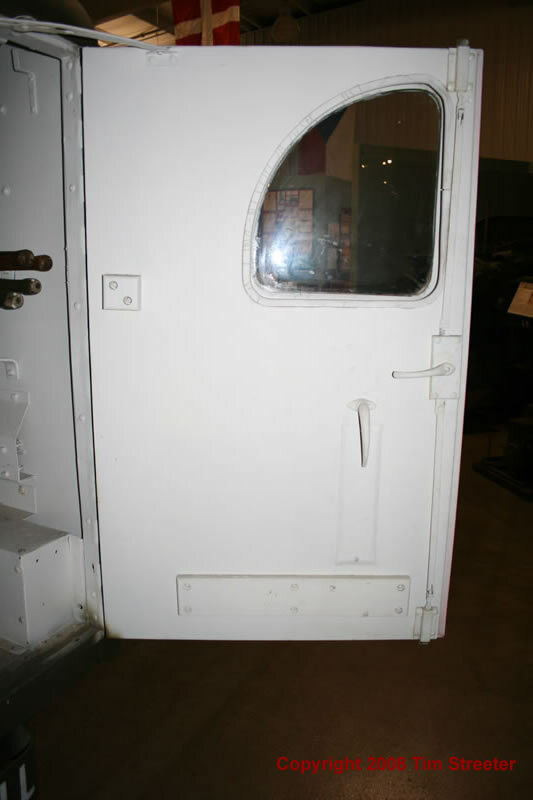 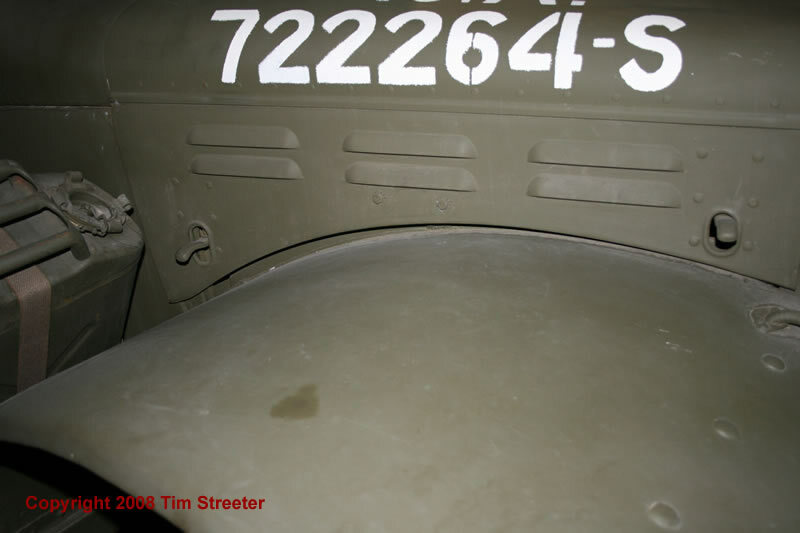 It shows the back compartment painted completely white. 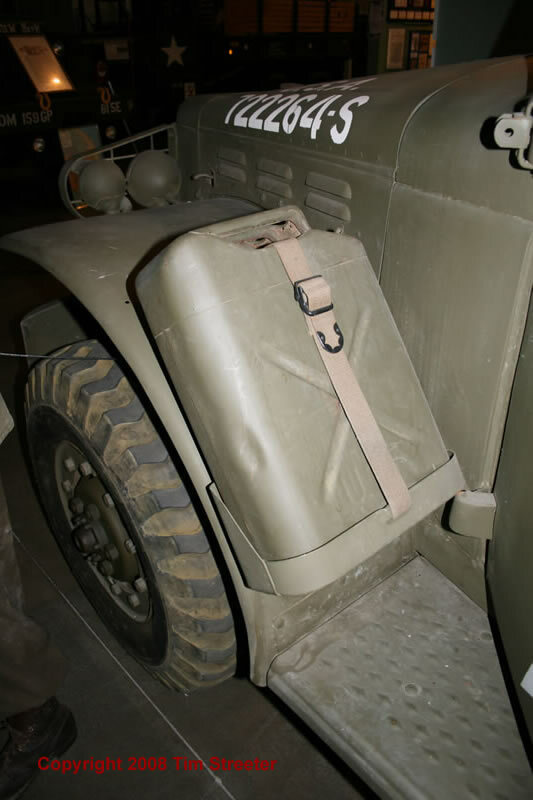 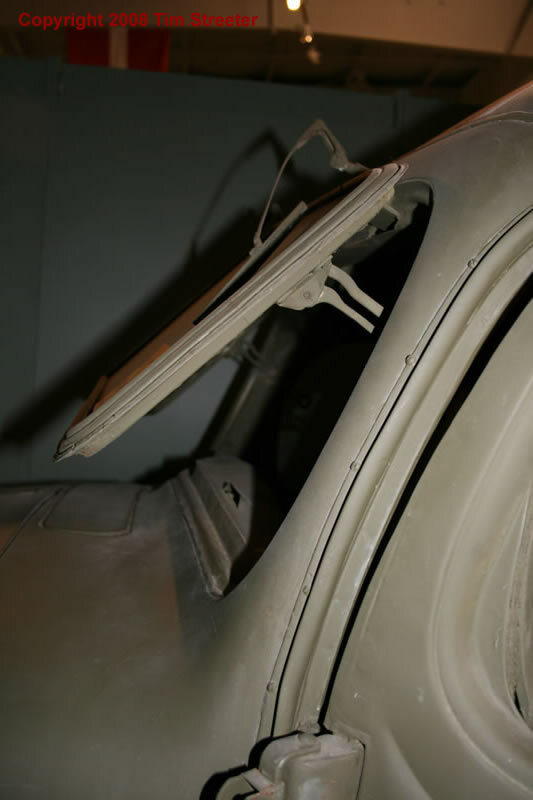 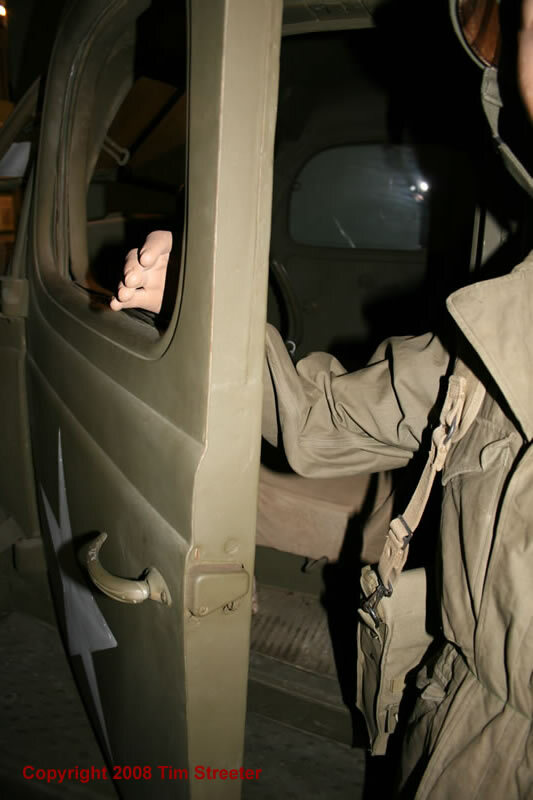 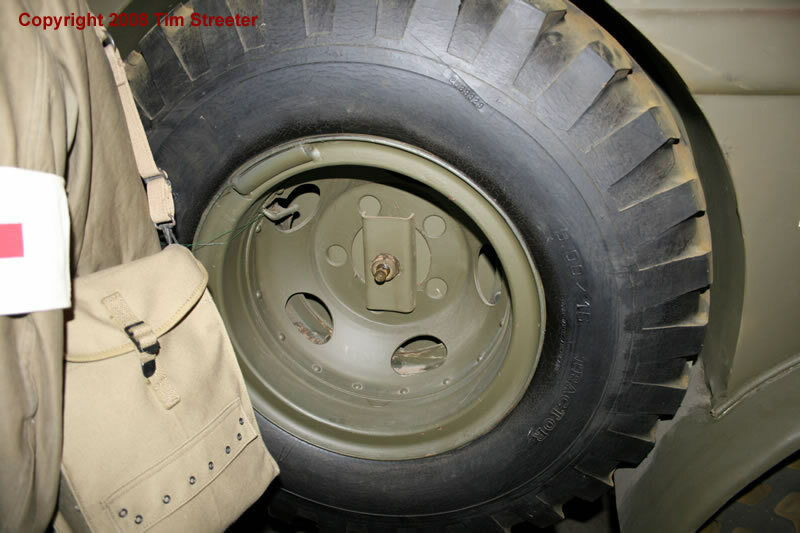 However, a photo on page 35 of "The Fall of Fortress Europe" by Christopher J. Anderson shows a GI being loaded into the back of a Dodge and the interior of the opened door is likely OD. 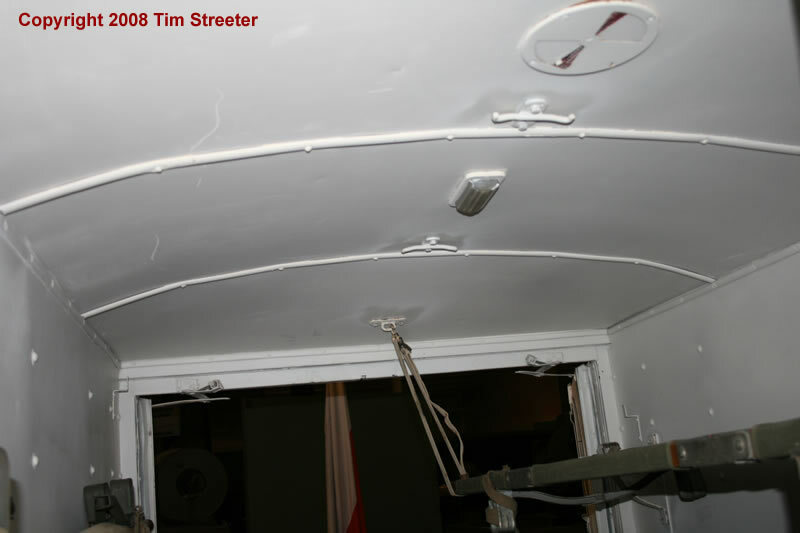 The interior is dark, with some reflection of light off the interior ceiling, but nothing is convincingly white. 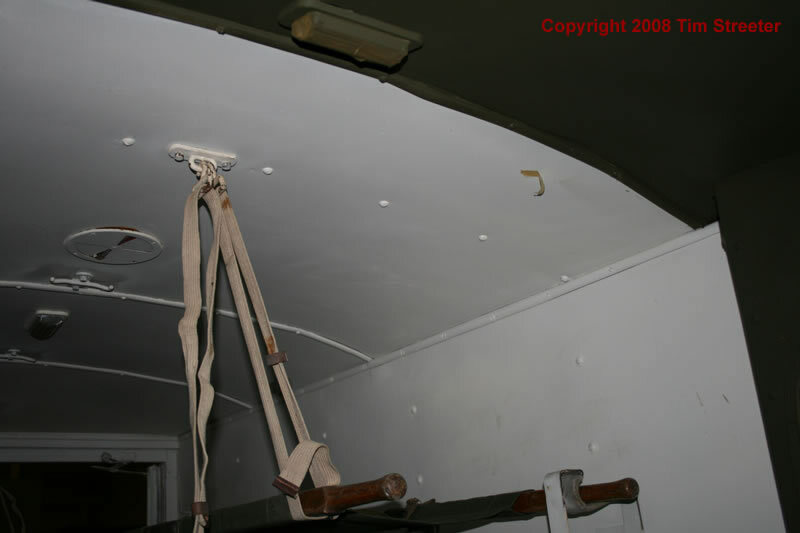 The floor is not clearly visible. 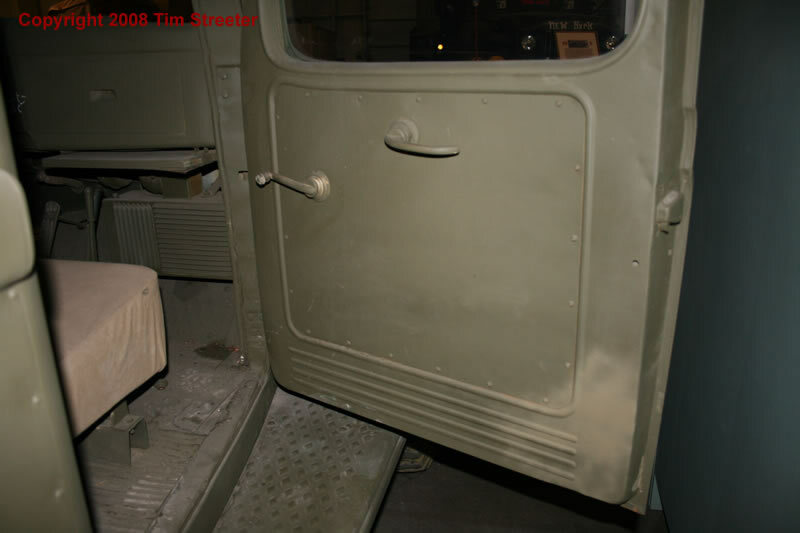 Miek Bedard reports he has seen an ambulance undergoing restoration that had pale green in the patient area, with OD on the door interiors. 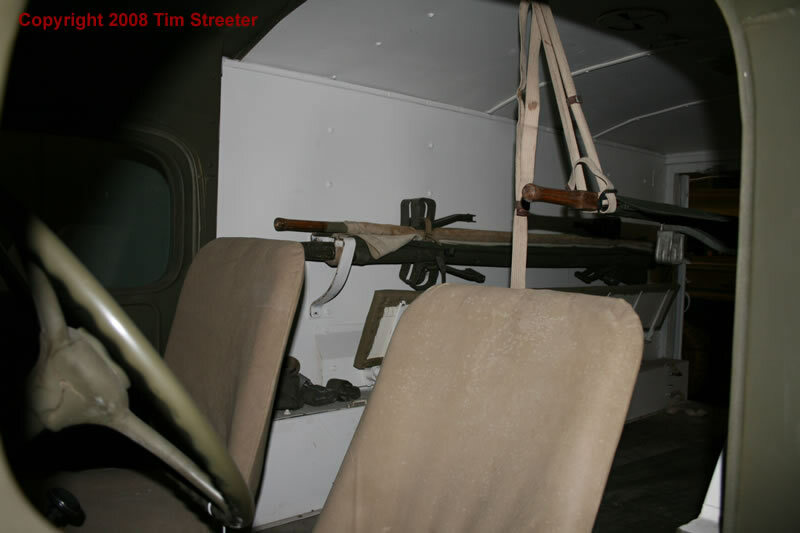 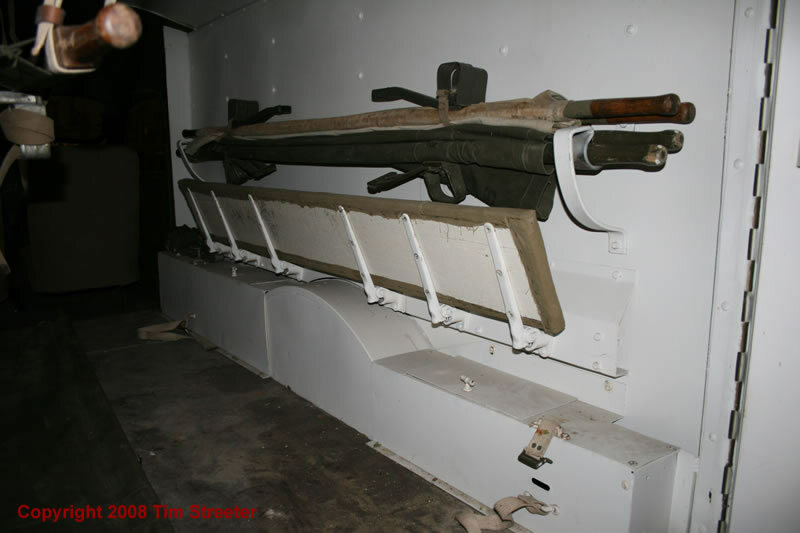 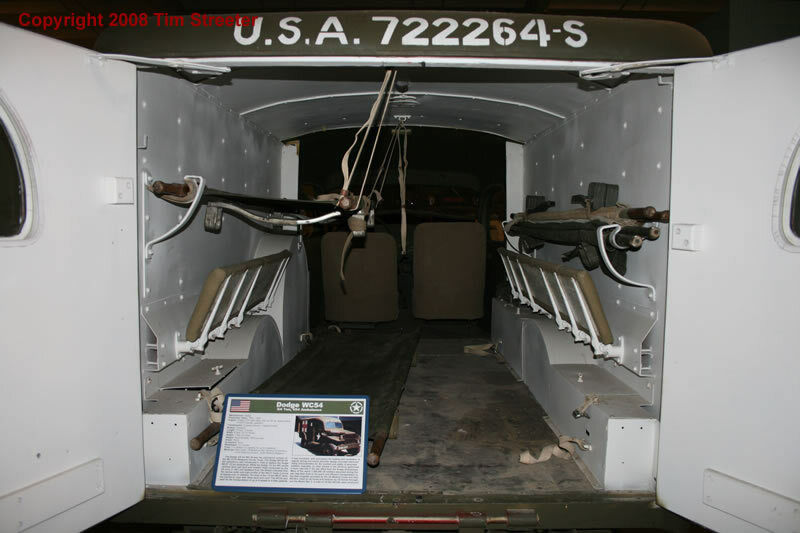 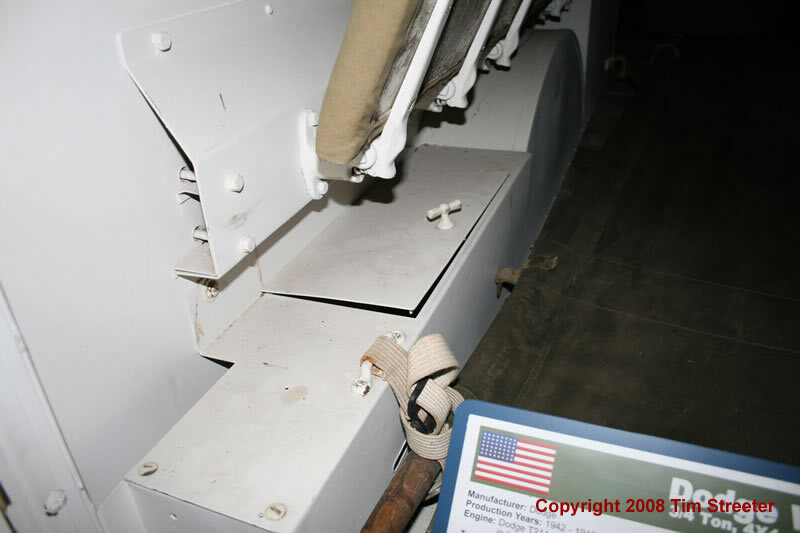 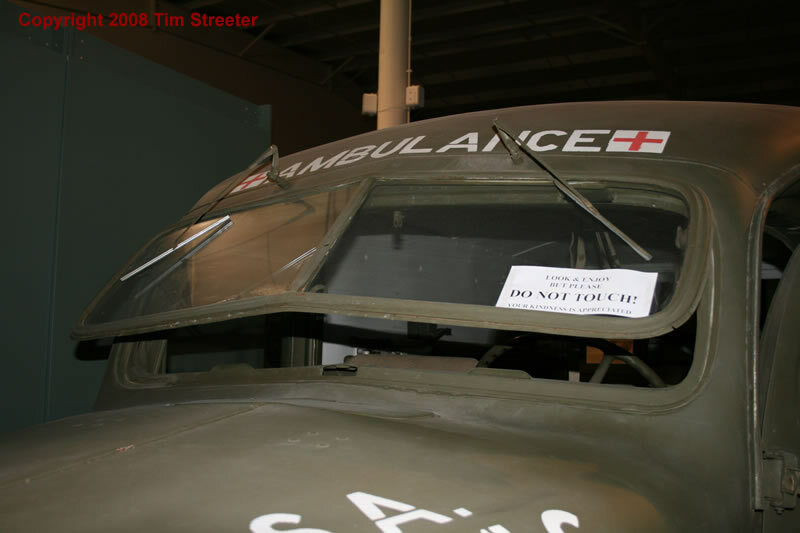 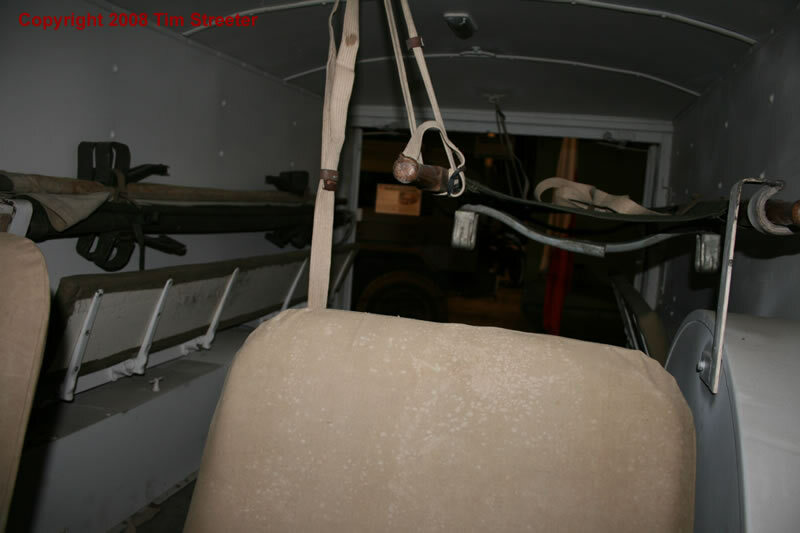 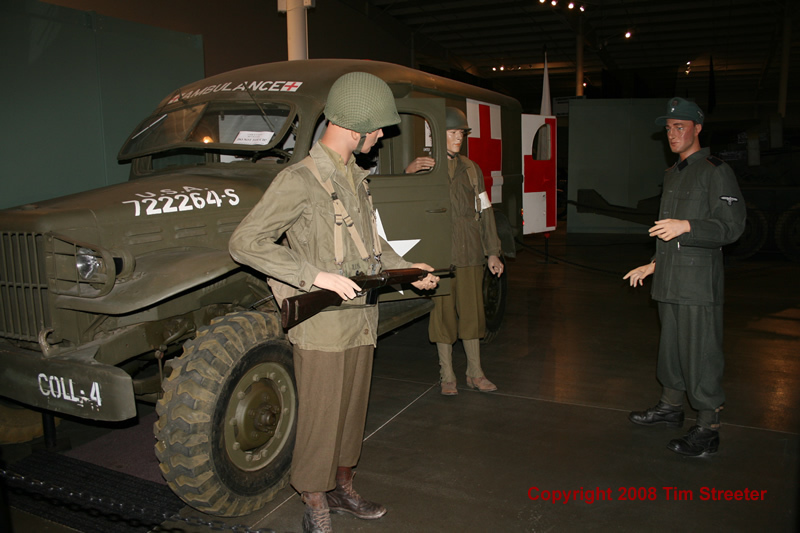 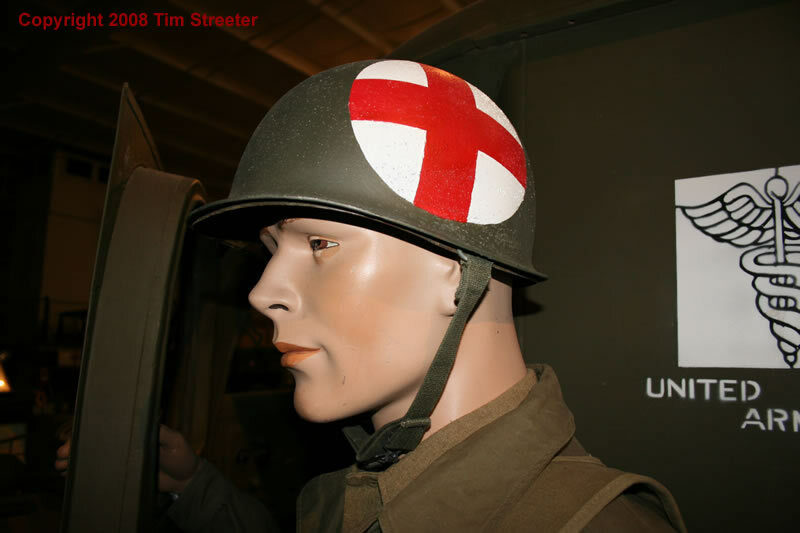 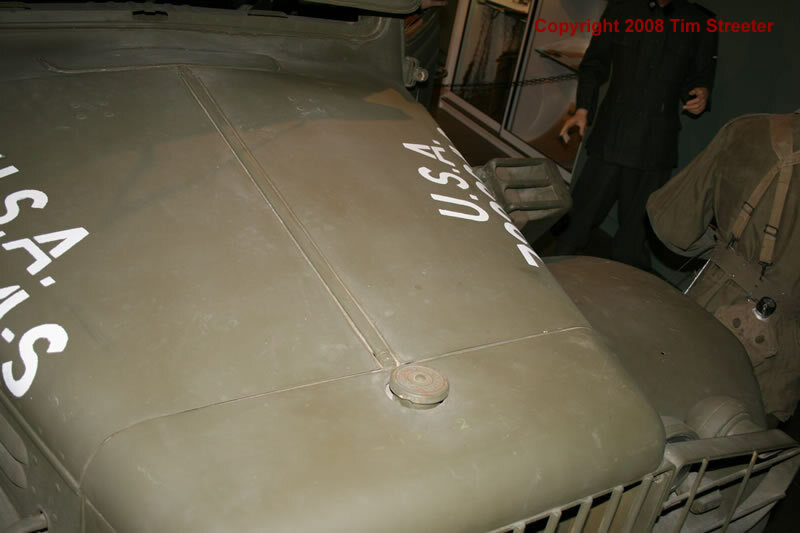 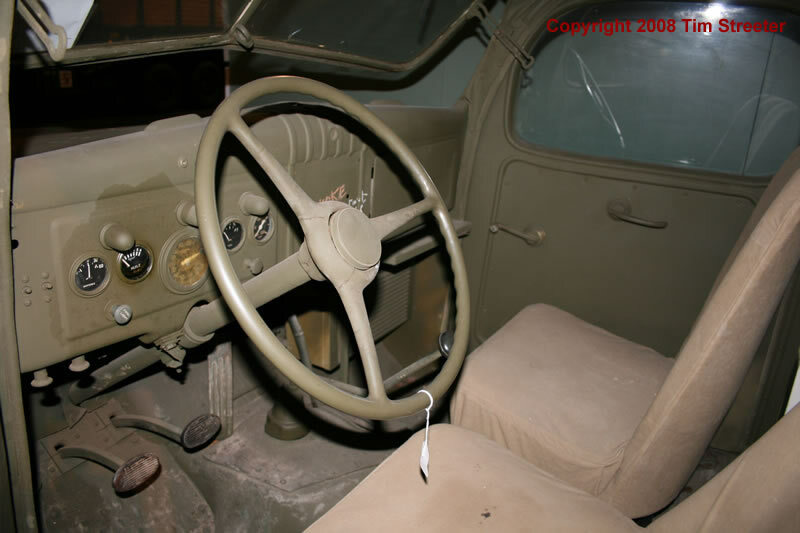 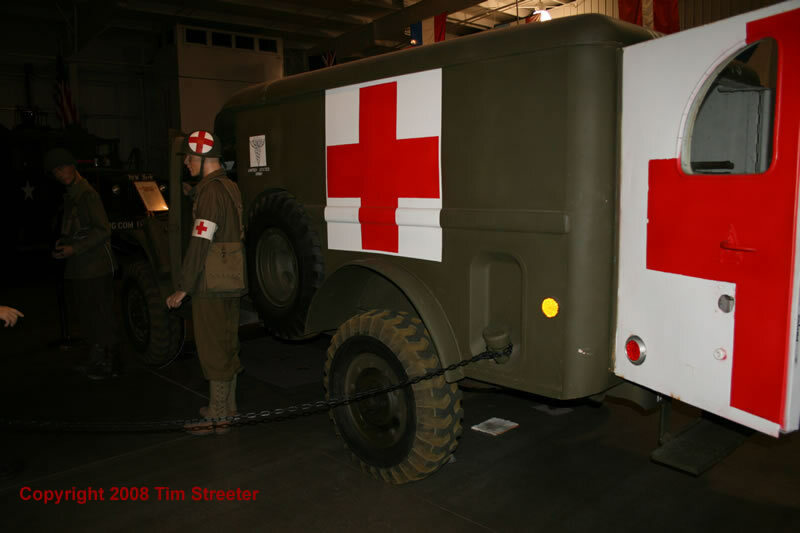 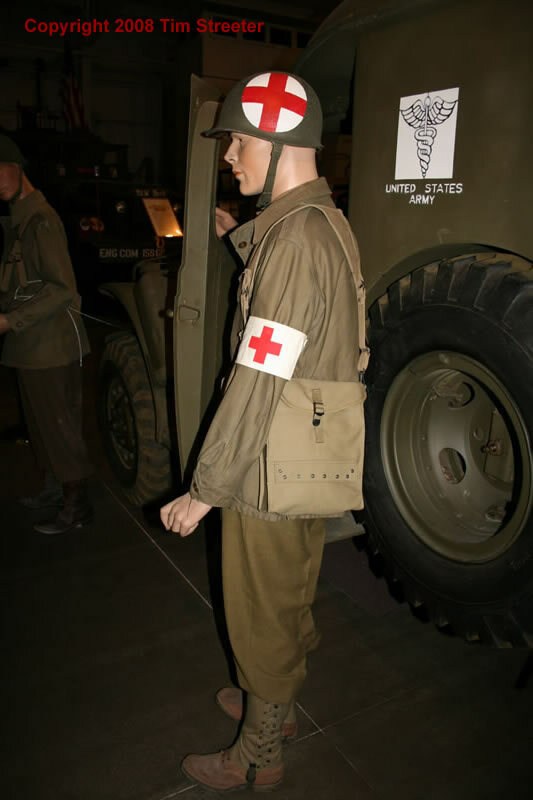 It may be that this museum version was repainted, or some ambulances that were farther away from the front had white patient interiors, while those close to the front had OD or some shade of green so as to not draw undue attention from the enemy. 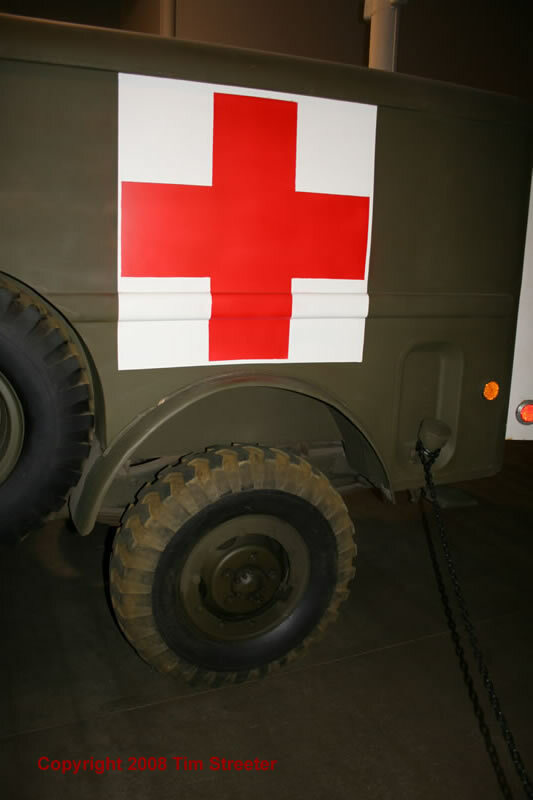 In any event, the white paint in this ambulance makes it easier to see the vehicle's features.